Helen Nguyen's husband has been held in Vietnam since July. When Helen Nguyen sits in the Capitol on Tuesday night, surrounded by members of Congress and the Supreme Court, and watching President Donald Trump speak, it will be her husband Michael's case that brought her there. Nearly 9,000 miles away, in a Vietnamese prison, her husband has been held without charges or any contact with his family for nearly seven months. "I love my husband. He loves our children. We all miss him desperately. It is hard to go to sleep at night," Helen Nguyen told ABC News. She will be the guest of Rep. Katie Porter, a freshman congresswoman from California, during the president's State of the Union address. Porter, Helen Nguyen, Michael Nguyen's family and a bipartisan group of lawmakers are working to highlight Michael Nguyen's case and push for his release. A 54-year-old father of four from the Los Angeles area, Michael went missing on July 6 while visiting family and friends in Vietnam. After an initial 10-day silence about his detention, the Vietnamese government confirmed he had been detained in Ho Chi Minh City on July 7 and was under investigation for "activity against the peoples' government." But he has not faced any charges or had a single day in court. Vietnamese authorities have repeatedly declined to provide any details on his arrest or any evidence he committed a crime. While he has been visited by a consular officer from the U.S. embassy about once a month, he has been unable to communicate with his family, even by sending or receiving letters. 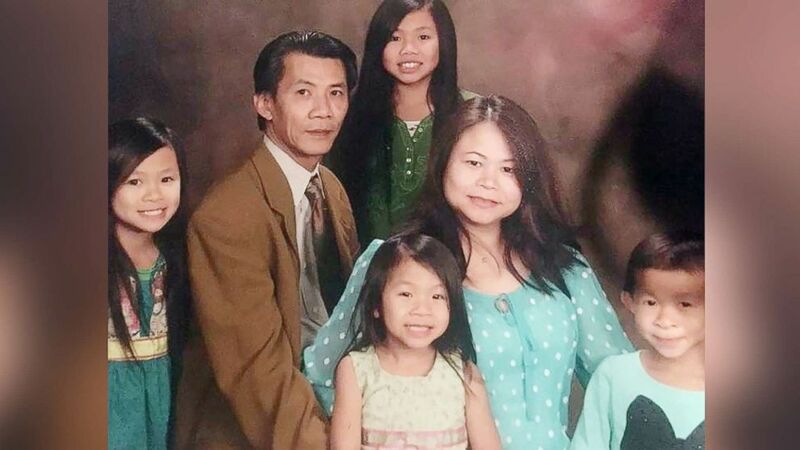 (Nguyen Family) Michael Nguyen, a 54-year old American father of four missing in Vietnam, is seen here with his family in an undated photo. "By having Helen come as our guest to the State of the Union, we're trying to send a strong signal to Vietnam that this is one of our citizens, one of our community members who's being detained and that Michael has a family here," Porter said in an interview with ABC News. Michael Nguyen still appears to be in good health, according to a congressional staffer. But his ongoing detention has forced his small business in California to shutter its doors, and Helen Nguyen, a surgical nurse, is now working more hours at two different jobs to support their four daughters and her parents. "The emotional strain of my husband being locked up on the other side of the world, for seven months now, with no formal charges is sometimes overwhelming for me," she said. "I have a family take care of, and I'm doing my best, giving it all that I can." Her husband's absence has been particularly hard for their daughters, she said, because he made them breakfast every morning and drove them to and from school and their extracurricular activities. "It's been seven months now, and these kids are really hurting because they're missing their dad," said Porter, who first met the Nguyen family in December, a few weeks after winning election. The Nguyen family and Porter's office said the embassy, including U.S. Ambassador to Vietnam Dan Kritenbrink, have been engaged with Michael Nguyen's case. Congressional and embassy staff have conducted nearly monthly calls, the aide said. The State Department declined to be interviewed about the case, citing "privacy considerations," but did indicate it was "aware of media reports of a U.S. citizen detained in Vietnam." "The safety and security of U.S. citizens abroad is the U.S. Department of State's highest priority," a department spokesperson added. Although Vietnam has reformed its practices over the past couple of decades to allow for some more economic freedom and human rights, it's still a Communist country with one-party rule. It now has strong economic and diplomatic ties with the U.S., which has at times shied away from criticizing the government, in an effort to steer it away from Chinese influence. 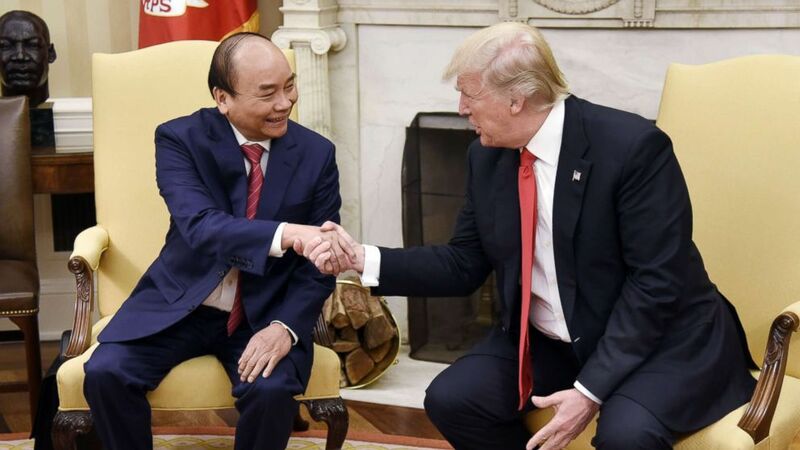 (Olivier Douliery/Pool/Getty Images) President Donald Trump meets with Prime Minister Nguyen Xuan Phuc of Vietnam in the Oval Office of the White House, May 31, 2017 in Washington, DC. But Porter criticized the "long delay" in Vietnam's investigation of Michael Nguyen and "the lack of any facts about the basis of the charges." "They have given us no facts, no details, no description of the situation or the circumstances that led them to arrest and continue now for seven months to detain him despite being asked repeatedly by our State Department" and in letters and meetings by lawmakers, she told ABC News. She and other lawmakers, in consultation with the State Department, are now discussing "what is the right level and the right kind of pressure" they can bring to bear on Vietnam to secure his release, including tying it to "some of the other issues" in the U.S.-Vietnamese trade relationship, Porter said. But what she stressed is that the effort is bipartisan. Rep. Mimi Walters, the Republican lawmaker that Porter unseated, was first in leading the charge. Her office organized letters to the Vietnamese embassy in Washington and two special order hours, where members of Congress can take time out on the floor to deliver remarks on a particular topic, in this case about Michael Nguyen's case. After Porter defeated her, Walters and her staff handed the portfolio off to their one-time campaign opponents. Additionally, Porter is now working with Rep. Ted Yoho, the top Republican on the House Foreign Affairs Committee's subcommittee on Asia, and other members. Bringing Helen Nguyen was meant to highlight a story that "united us" in "our broad American values, related to freedom, to human rights, to rule of law," Porter said. For her part, Helen Nguyen said she is honored to attend the State of the Union and she hopes it can raise the profile of her husband's case. She encouraged all Americans to write and call their representatives to urge their support to bring home Michael Nguyen and any other American citizens who are wrongly detained abroad.